Standing out in the App Store can be a problem, and there are plenty of businesses out there built around trying to make it easier. AppGratis is one such company, whose recent funding we covered last week. Today, Wake N Shake, an app whose social pivot Jordan looked at back in December, is saying AppGratis is a service that works, after seeing downloads spike to 637,000 in just one weekend. Wake N Shake went free for a weekend and also had their title featured in the AppGratis app, after contacting the company to see about a partnership. AppGratis responded with a deal that was very favorable, according to Wake N Shake Creative Director and co-founder Pedro Alejandro Wunderlich (though he couldn’t discuss specifics), and the response has been tremendous. Wunderlich says it isn’t entirely clear how much is attributable just to the price reduction, and how much of the momentum comes from AppGratis, but based on an analysis of social media shares, the app promotion tool contributed a lot. 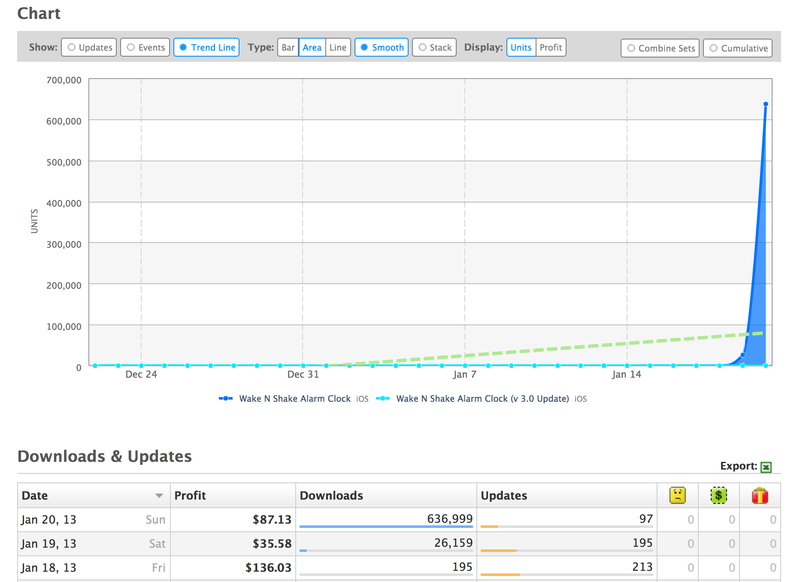 To put its progress since the promotion began in perspective, Wake N Shake has been doing around 200 to 300 sales a day on average until now, peaking on good days at somewhere around 500 downloads. Obviously the 637,000 in a single 24 hour period starting January 30 blows that out of the water. The effect also seems to be global, with ranking of Wake N Shake improving to the number one spot in the Productivity category of the App Store across 78 countries. 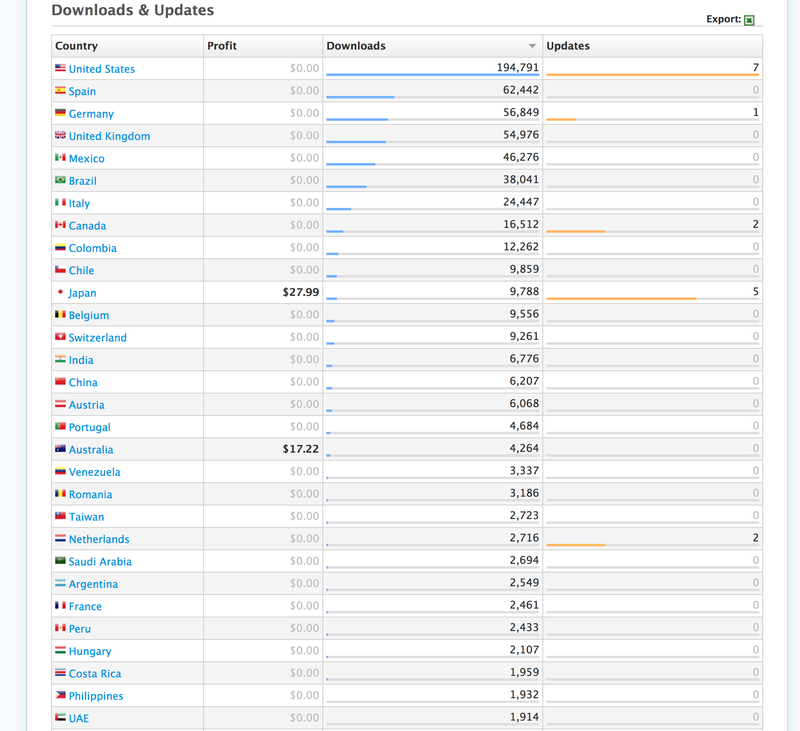 The U.S. is definitely taking the lion’s share of the downloads, however, accounting for 194,000, or 30 percent of the overall total download spike. Going free and partnering with an app promotion service like AppGratis are strategies that can clearly pay off, as this case study by Wake N Shake proves, but there’s no such thing as a magic bullet; these obviously have a monetary cost, and while they can spike users in the short-term, there’s no guarantee those users will stick around or contribute to paid conversions. Still, for developers looking to overcome the opaque jungle of app store discoverability, it’s nice to see some of the numbers behind how one popular strategy plays out.